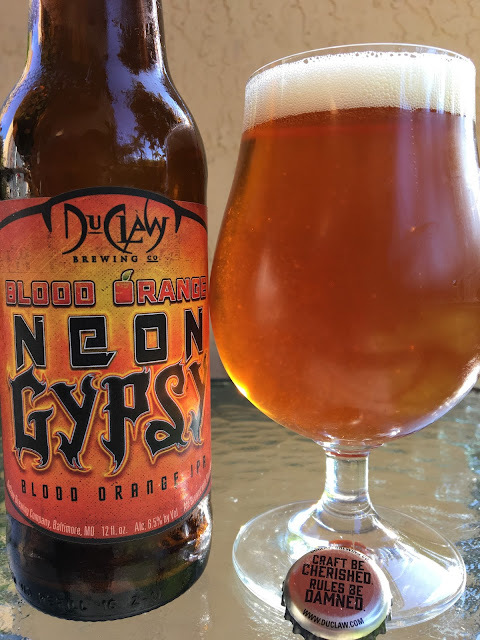 Baltimore's DuClaw Brewing started having their beers distributed in South Florida recently. I've had a few of their beers here and there on vacations up north, but decided to give Neon Gypsy Blood Orange IPA a welcome here. A story on the side sets your expectations, letting you know that they use 7 hop varieties and blood oranges to create this beer. 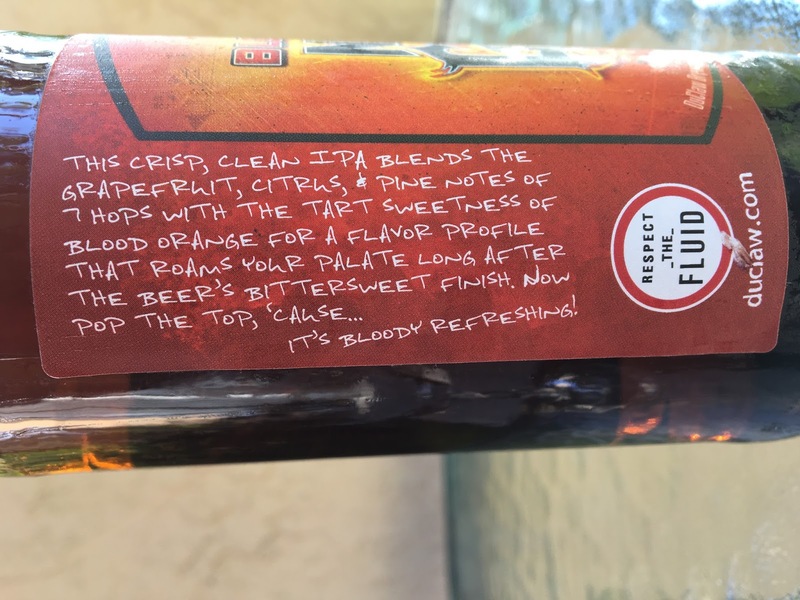 Oh, and that "It's Bloody Refreshing!" 6.5% alcohol. Fragrant and fruity with plenty of citrus and orange and a hint of tropical pineapple. Pine and citrus come first, resinous and quite bitter. Juicy, spicy. There is plenty of orange flavor but only a slight nod of any sweetness whatsoever. Neon Gypsy is definitely missing some balance as the bitterness goes to the point of overly harsh and unpleasant. Super dry at the finish. I'd pass.